Help you to convert PDF to iPad friendly eBooks with page flipping effect applied, amazing iMagazines builder, no Flash required, creating HTML5 digital editions in minutes . View the page flip publications on iPad with friendly designed interface . Build stunning HTML5 iBook from Adobe PDF in seconds. Provides template design options for you to build unique style iBooks. Enable readers to share your book through email, social share sites. 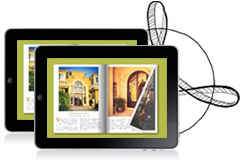 Output your iPad magazine in HTML or ZIP foramt directly for easy publishing or distributing. 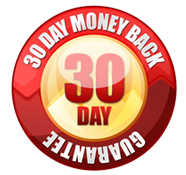 Unlimited use desktop application, once paid, you can create unlimited iBooks forever. Flip PDF for iPad is a digital publishing software that allows you to create realistic page-flipping e-Publications including E-Books, E-Magazines, E-Brochures, E-Catalogs, E-Reports, E-Newsletters. Flip PDF for iPad can convert PDF to digital editions directly. All links and table of contents will be imported into your publication automatically. Add/edit/delete links, audios and table of contents before publishing. 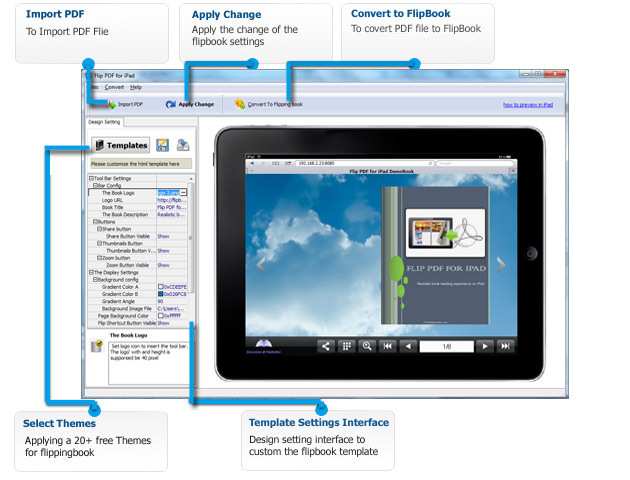 Flip PDFfor iPad is a lifetime license flip software solution for the design and implementation of online digital flip page publications. Flip PDF Page Flip Software will convert your publications into dynamic digital editions with the look and feel of your original document. You will be able to utilize our cutting edge technology to easily create, upload, and host digital publications by yourself, in minutes. Flip PDF for iPad offers fully customisable mobile apps for publications using our suite of apps for both Apple and Android devices. At a Glance: Easy! Even a new user, you can use Flip PDF for iPad within a couple of minutes without any special learning. With Flip PDF for iPad easy to use interface, you can make a iPad friendly publication in a few mouse clicks! Even a new user, you can create a stunning page flipping iBook within a couple of minutes without any special learning. Flip PDF for iPad is specailly designed to create iBooks reading on iPad with HTML5 technology. All iPad users can read your published book with ease, and people will also be enabled to drag pages corners to flip pages easily. Flip PDF for iPad provides many different kinds of build-in templates, you can easy apply to your iBooks. And moreover, you can use template design settings in the software to build your style books with ease. Wish using Flip PDF for iPad, you will be enabled to design backgrounds for your ebooks with a set of settings. You can use pure color, gradient colors or related or branded image as background of your ebooks, make more personalized ebook with ease. To brand your iPad ebooks, Flip PDF for iPad will help you to add your company logo and book title to your published ebooks, the brand on iBooks will definitely streamline your existing marketing effort. While reading your created ebook on iPad, readers can easy turn pages in many different ways, including Thumbnail guide and toolbar navigations. Peopel can click either button in the window or on the tool bar to flip pages easily. If people want to view more details on your published eBooks on iPad, they can click the "Zoom In" button on toolbar directly, no other action needed. 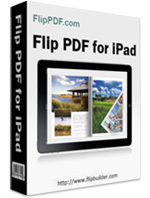 Flip PDF for iPad helps to build iPad friendly books with ease. 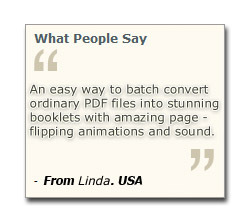 Convert PDF to HTML5 based page-flipping eBooks to publish on iPad. Import all pages or just a range of pages to convert. Define quality and size for pages. Add book Logo, Logo URL, book Title and description (will be shown when share with others). Show Share, Thumbnail and Zoom buttons on tool bar. Output to two different formats: HTML and Zip. HTML allows you to upload to a website to be viewed on iPad (with title, keywords and other metadata defined). Zip allows you to send your created iPad friendly ebook to others, for them to publish or view on iPad. Click zoom in button to view details on pages. Share ebook with others through Email, Facebook, Google+, MySpace, etc. About FlipPDF|Terms & Conditions|Privacy|Resource|Contact Us|Sitemap Copyright © 2011 Flip PDF Studio. All Rights Reserved.